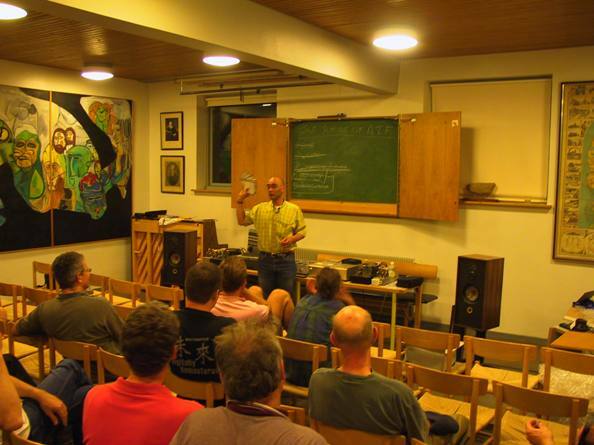 If you think that hifi-shows here and then are the only non-web-based places where audiophile folks come together, then I have good news for you: We have reached the age of non-commercial and private audio events. It all began in 2000, when a Joenet (Joenet is the very first online mailing list dedicated to DIY audio, and leads back to the beginning of the 90ies, even before the birth of world wide web) member Kurt Steffensen from Denmark, announced a non-commercial meeting called "European Triode Festival", and organized this event. He called and about 45 folks from all over the world came. The event took place in a boarding school on the countryside during holidays, lasted four days, and was a really great event, a crude mixture of scout camp, non-stop-party, finishing projects, shootouts of home-built electronic devices, and lectures. Thanks to the success, it became an annual event from then, and it was necessary to limit the event to 80 participants in the later years. The 2008 ETF is going to be in a former monastery in the Netherlands. 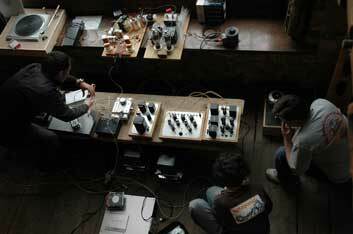 In summer 2007, the Austrian audiophiles invited us Munich DIY folks, and in return, we planned a somewhat bigger event for November 2007, for about 12 guests, named "Schall und Rauch" (Sound and Smoke). Was it difficult to organize? Well, it depends. You have to ask your local buddies to open their houses and listening rooms, then you ask 20 preferred guests to come, then build a time-table for Saturday (Excel sheet is helpful here), and organize a Saturday party for dinner, book enough tables for Friday dinner and Sunday brunch, that’s all. If possible, allow the guests to stay overnight at private places, so that the whole event is low cost and maximum fun. The Berlin folks we had invited, returned the favor, and organized the "Berlin Nights of Audio Systems" around June 1st, 2008. 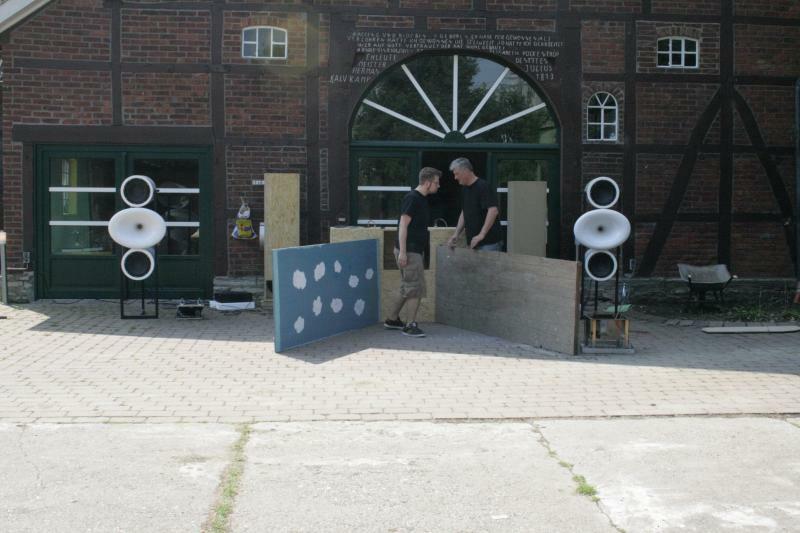 This year the first Frickelfest took place in Germany, and although it was organized by Holger Barske, editor of German magazines "Klang und Ton" (about DIY building loudspeakers) and "LP" (about vinyl replay), it was a non-commercial event, costing only 20 EUR each person, and for this money beer and barbecue steaks were bought. The event took place on an abandoned farm, which was for sale, and the owner did not mind a bunch of freaks doing party all over the weekend. It was like Shaun the Sheep’s "Disco in the Barn", yeah! To me, it reminded me a lot of the first ETF in 2000, a bit unorganized, but peaceful while not quiet at all. There had been a call for subscription at the German analogue-audio-forum, thus a lot of incredible DIY turntables were seen at this event. Although Oswald's Mill Audio is an audio producer and dealer, this special can be regarded as non-commercial as well. US freaks come together, invite some of the usual suspect European audiophile freaks, and have some fun. Melaudia, a French audiophile group, helds up meetings for years now. Then there is a Boston audiophile club, and many others. When will you organize your local event?